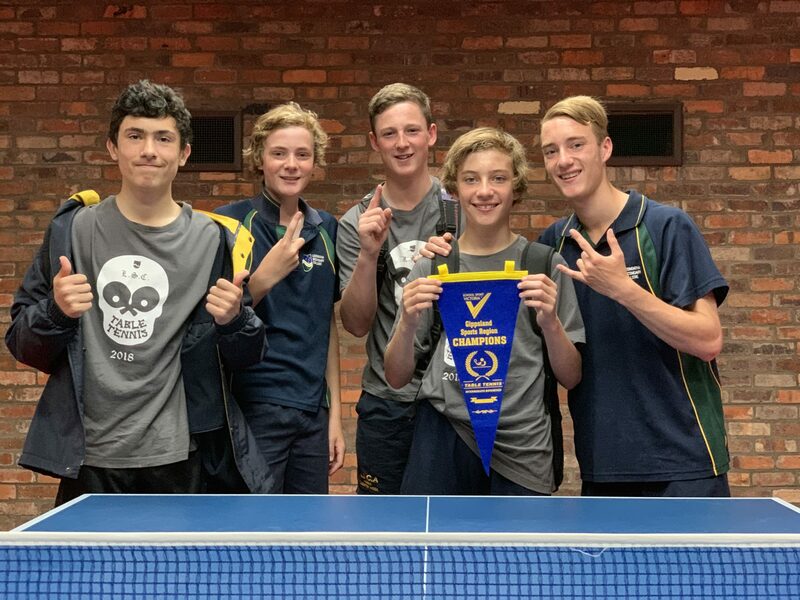 LSC intermediate boys table tennis team competed in the regional finals last Friday. The team came out the winners by beating Maffra, Warragul and Swifts Creek. The competition was tough and scores were tight, but our boys all played brilliantly. They are now headed through to the state finals on November 30th in Melbourne. From left the team consists of Matthew Portelli, Dylan Hanily, Jacob Wrigley, Mitch and Jake Stivic. Congratulations boys and good luck for the state finals.